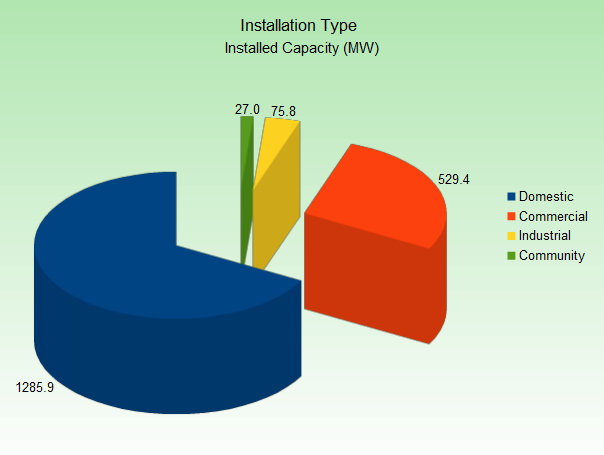 June 2013 saw installations under the Feed in Tariff scheme reach 398,188 and a total installed capacity of 1918.15 MW. 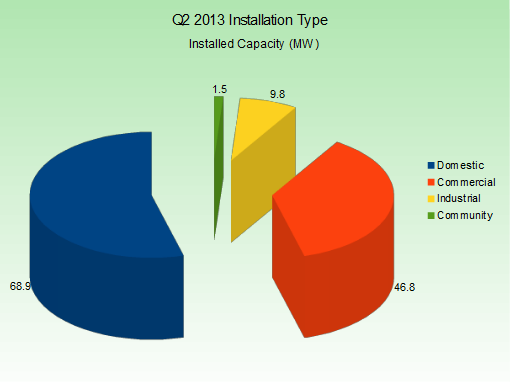 The second quarter of 2013 had 18,994 installations accounting for 127.07 MW of added renewable energy generation capacity. 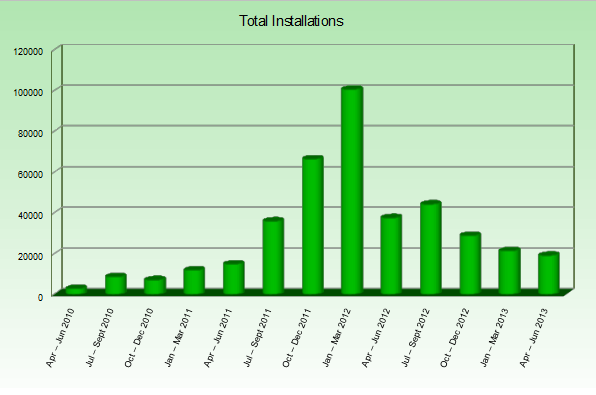 Note: This report analyses Feed in Tariff data on confirmed installations for April 2013 to June 2013. 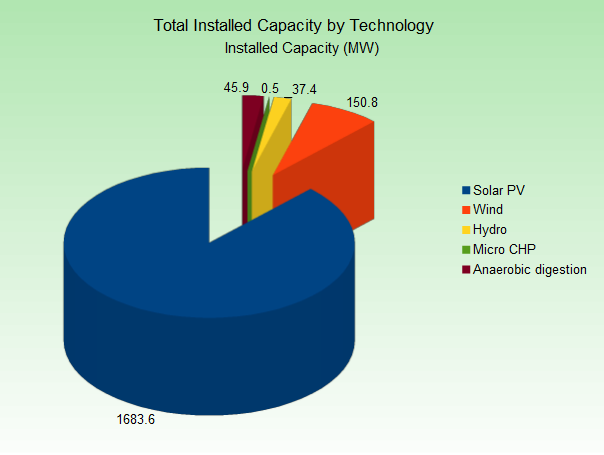 The data analysed is based on confirmation date data from Ofgem’s Renewables & CHP Register. 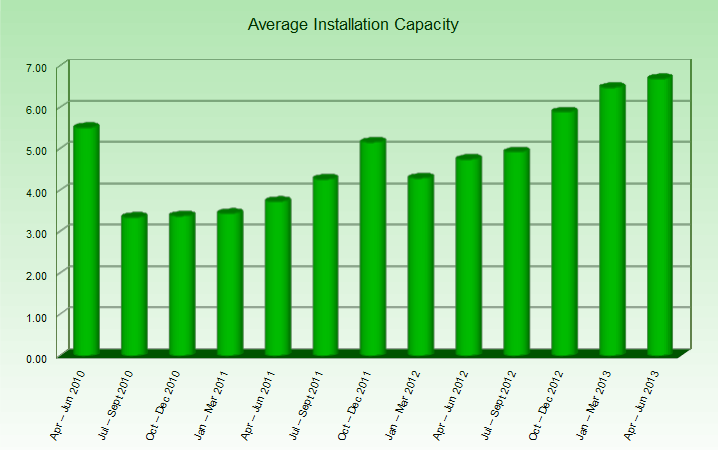 Growth in the number of installations under the Feed in Tariff continues to slow. This quarter’s 18,994 installations are down from 20,632 in the first quarter and Q2 2013 is the 3rd quarter in a row to show a reduction in new installs. 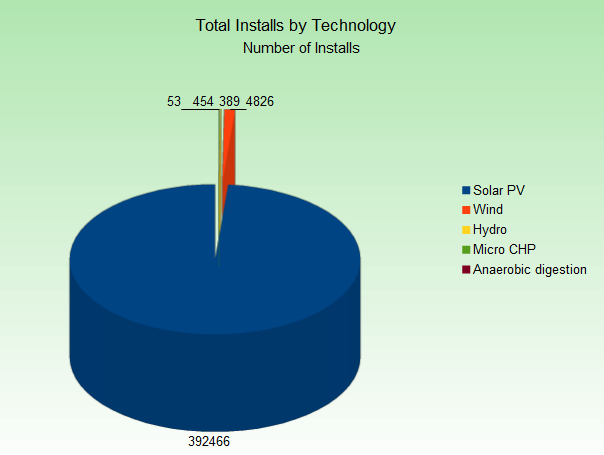 As has been the case since the launch of the scheme, installation numbers are heavily dominated by solar PV installs. 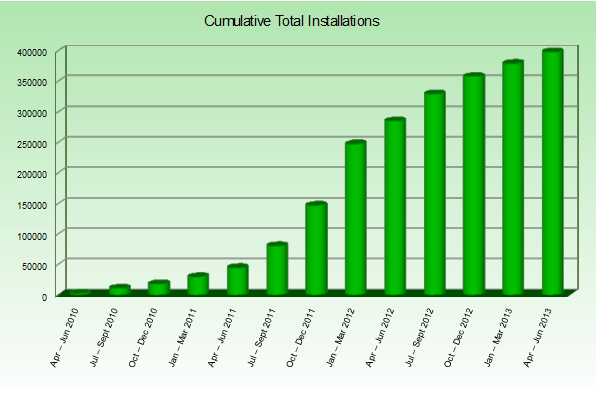 This quarter has seen 18,761 new solar PV installations. 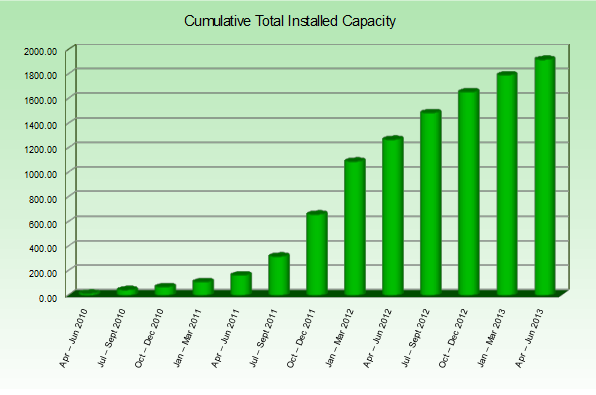 That is still a sizable number but compares to 36,990 in the same quarter of 2012. 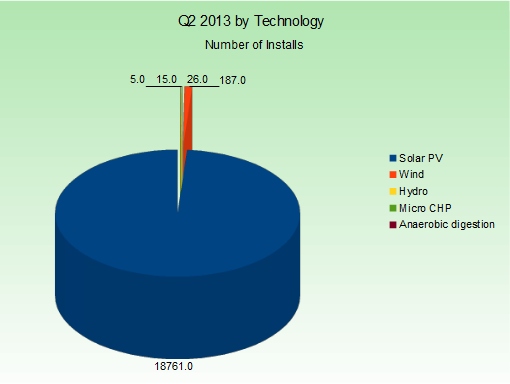 Wind, the second strongest FIT technology by installation numbers saw only 187 new installations in Q2 2013. 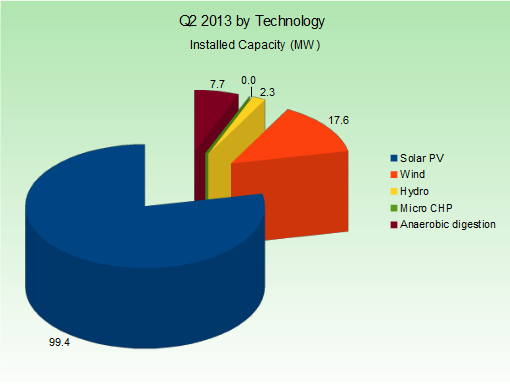 Just like solar PV, this is its worst quarter since Q2 2011. 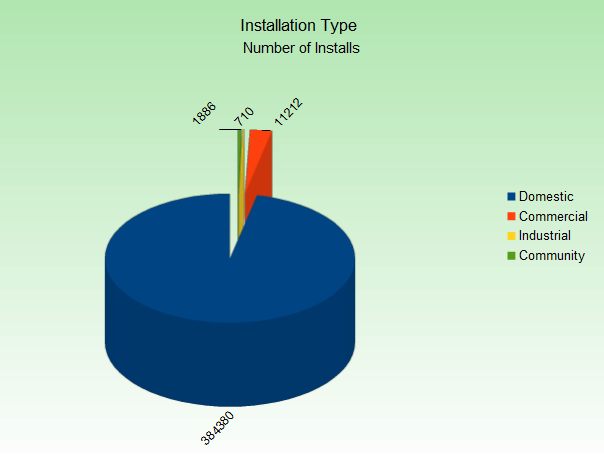 As with our previous findings, growth in installed capacity continues to be more stable than growth in installation numbers and shows a continuing trend in the average capacity of FIT installations.